Seems unclear whether market continues up or takes a short rest. Greece can kicked down the road a bit. FOMC still in easy mode (seems they are continuing about $25B a month to their balance sheet as they continue to cycle securities plus interest back on to the FED balance sheet). May not seem like much, but it is about $300B a year ($1/3Trillion). But Russia debt downgraded to junk. So It is a mixed picture. West coast slow down may be settled, but the damage done will probably be seen in the future. 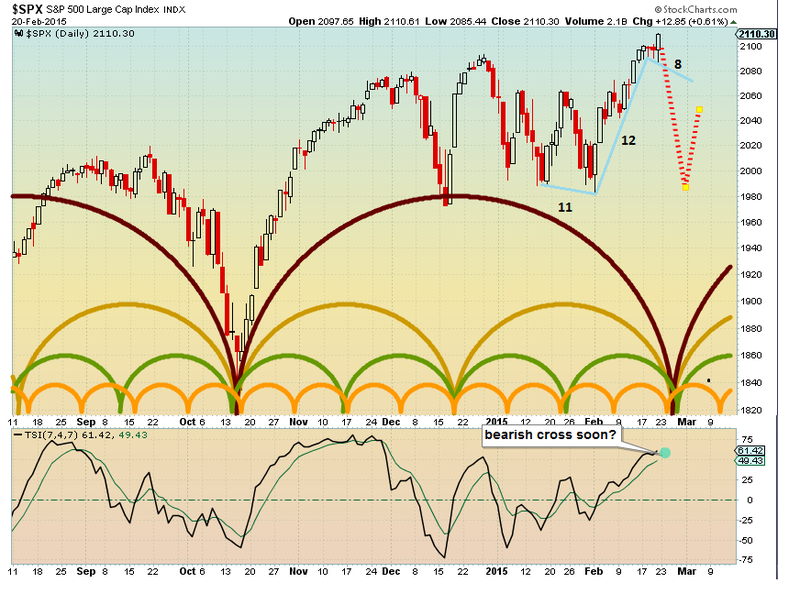 Like I said an unclear outlook, but I expect a pullback over the next 6-8 trading days.